Several news came last month from Yandex.Taxi, the taxi-hailing company which merged activities in Russia with Uber earlier this year. The company bought the software assets of a Moscow-based company, Nowtaxi. The software supports the accounting of operations with affiliated drivers and provides related analytics. Formally, the software assets, not the company, have been acquired, but the Nowtaxi team will be integrated to Yandex.Taxi, a company executive told business daily Vedomosti. Yandex.Taxi also acquired Partiya Edy (‘The Party of Food’), a St.Petersburg startup that delivers ready-to-cook fresh food in St. Petersburg, Moscow and the surrounding areas. As reported by local online business news site DP.ru, Yandex.Taxi acquired a 83.3% stake for an undisclosed amount, with an option to acquire the remaining 16.7% stake in the forthcoming years. While the startup will continue operating autonomously, its integration with Yandex.Taxi will allow it to develop “at a new level,” making its service “available to millions of people,” a Yandex.Taxi executive stated. Partiya Edy was created in 2014. Expecting to generate some RUR 200 mio (around $3 mio) in turnover this year, the startup plans to expand to new regions after it “consolidates [its] leadership in Moscow and St. Petersburg,” DP.ru quoted its co-founder and general manager Mikhail Peregudin as saying. In a separate move, Yandex, the mother company of Yandex.Taxi, announced the full acquisition of Edadeal.ru (‘Food Deal’), a startup that offers cashback to consumers buying food and other items in retail outlets. This startup was launched in 2012 by Nataliya Shagarina, a former product manager at Yandex, who sold a 10% stake to the search giant in 2015. 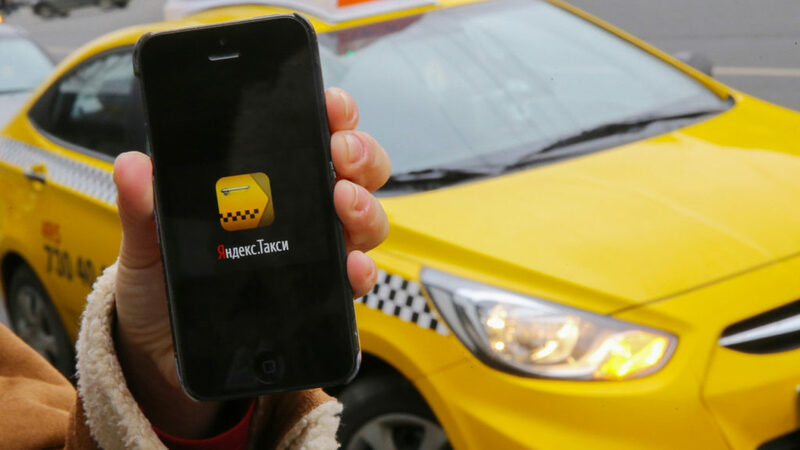 Yandex.Taxi acquired the remaining stake through the latest transaction. The amount of the deal was not disclosed, but in an exchange with business daily RBC, Sova Capital analyst Alexander Vengranovich estimated company valuation at 600-800 million rubles (between $9.2 mio and $12.3 mio at the current exchange rate). Following the merger of local activities with Uber, Yandex.Taxi is now the clear leader on the Russian taxi-hailing market. It controls around 50% of this market, according to a UBS report released in September and cited by Vedomosti. The joint company of Yandex.Taxi and Uber also operates in 13 countries beyond Russia, including notably Kazakhstan, Uzbekistan, Belarus, Moldova, Armenia, the three Baltic states, and Serbia. However, Uber continues operating under its own brand in some of these countries, notably the Baltic states, competing there with Yandex.Taxi. The company is now held approximately 59.3% by NASDAQ-listed Yandex, 36.9% by Uber, and 3.8% by employees of the group. Uber and Yandex invested as much as $225 mio and $100 mio in cash, respectively, in the combined company, with a valuation exceeding $3.8 bln on a post money basis. Among Yandex.Taxi’s competitors are Gett and Citymobil. The latter, which is backed by Mail.Ru Group and its ally MegaFon, has seen its market share grow from about 1% in late 2017 to some 4% recently, noted the UBS analysts. On the food delivery market, where it competes with Mail.Ru Group, Mitsui and other players, Yandex.Taxi has not reached, for the moment, a predominant position. In November last year, the company acquired Foodfox for a reported $8.4 mio amount. In January 2018, Yandex.Taxi and UberEats launched a dedicated subsidiary to invest and operate on this market. Quoted by DP.ru, Nikolai Davydov, a prominent Russian investor, believes the company will follow the same strategy as on the taxi-hailing market with investments aimed at becoming or consolidating a leading position. A recent RBC report has estimated the Russian food delivery market at around RUR 100 bln this year (approximately $1.5 bln at the current exchange rate).